It is “a movement for relief, healing, rebuilding, and resiliency.” The project works with community organisations to provide help in rebuilding and reconstruction and also psyco-social support for those affected by the quake. 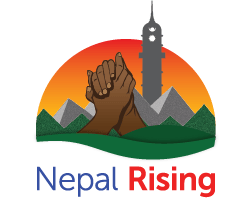 The hashtag #NepalRising is being utilised to spread awareness of their efforts and the needs of those in Nepal. Tourism and visitors are as much a part of the healing process.